In the previous post, the brief history of Israel as God’s people in the Old Testament was outlined, from its creation to its ultimate dissolution. Despite that dissolution, the prophets promised that God would one day restore and redeem not only the remnant of Judea, but the entirety of Israel. This had been made seemingly impossible by the fact that the ten northern tribes had been ‘lost’. They had not been lost to history. 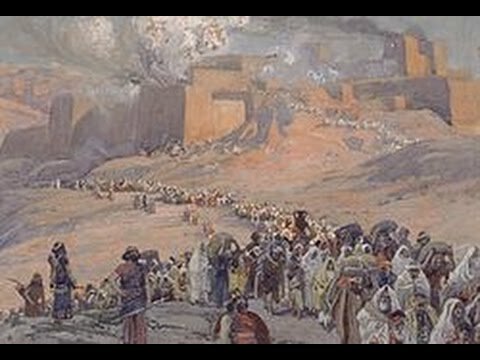 There is clear historical record of the cities and regions in Assyria to which the Israelites had been deported. Rather, over generations of intermarriage and assimilation, the people of the northern tribes became indistinguishable as a particular people. Their identity as a people had been dissolved among the nations, dissolved into the Gentiles. This dissolution meant that the northern tribes could only be restored from among the Gentiles. Hints of this are seen already in the Old Testament. Following the return from exile, those “people of the land” who assisted the nascent Judea in rebuilding were reckoned as members of one of the northern tribes. The Hasmonean kingdom, after the Maccabean revolt, extended descent from Abraham to political allies who sealed a covenant with the Judean nation, including the Spartans (1 Macc 12:21). To reconstitute these missing tribes would mean that people like Caleb and the mixed multitude who came out of Egypt alongside Israel would again have to be merged into a renewed, reconstituted nation and people. The reconstitution of the ten tribes from among the Gentiles was the means prophesied for Israel’s rebirth. Israel is described throughout the Old Testament as Yahweh’s portion, his inheritance (Ex 34:9; Deut 4:20; 32:9; Ps 68:9; 78:71; 79:1; 106:5; Is 19:25; Jer 10:16; 16:18; 51:19; Mic 7:14, 18). God’s people are his inheritance. Yet the promise is that after the Word of God has judged the gods of the nations, Yahweh will inherit from all of them (Ps 82:8). These Gentiles are not naturalized citizens or converts to the religion of Judaism, rather they, like Caleb, are part of one of the tribes of Israel, children of Abraham, and inheritors of all of those promises. “On the holy mountain stands the city he founded. Yahweh loves the gates of Zion more than all the dwellings of Jacob. Glorious things are said of you, O city of God. Among those who know me I mention Rahav and Babylon. See Philistia and Tyre with Cush. They say, ‘This one was born there.’ Then of Zion it will be said, ‘ This one and that one were born in her.’ Yahweh records as he registers the peoples, ‘This one was born there'” (Ps 87:1-6). The birth of this new people would, in turn, require a new Pascha and a new Pentecost in which the newly founded, renewed Israel would be marked out by blood through shared experience of deliverance. To this end, the New Testament writings portray the death and resurrection of Christ as a new Passover and a new Exodus. Christ is the ‘lamb of God’ (John 1:29, 36; Rev 5:6; 7:17; 14:10; 15:3; 19:6, 9; 21:23; 22:1, 3). Christ dies at the Passover (Matt 26:2; Mark 14:1; Luke 22:1). 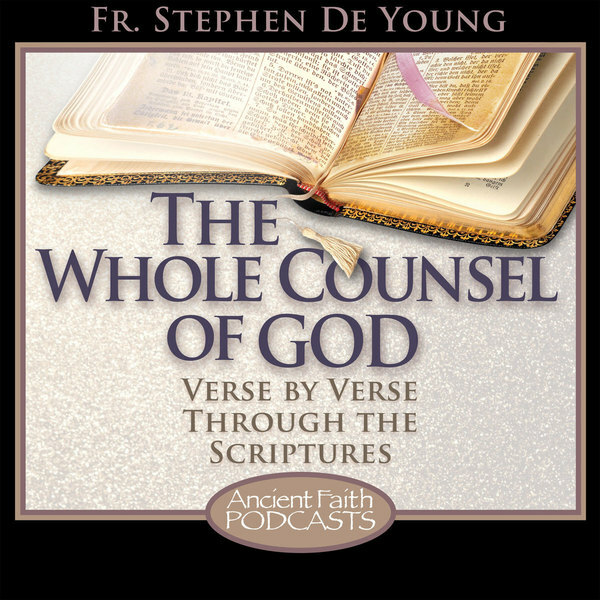 St. John’s Gospel presents Christ dying at the time of the death of the lambs (John 19:14). St. Paul identifies Christ directly as the Passover lamb who has been sacrificed for us (1 Cor 5:7). Christ’s blood redeems his people as at the Passover Yahweh redeemed to firstborn of Israel from the destroyer (Acts 20:28; 1 Pet 1:9; Rev 1:5). And as at Sinai at the first Pentecost, the sprinkling of Christ’s blood marks out his new covenant people (1 Pet 1:19). As was the case with the original series of events from Pascha to Pentecost which marked out and created God’s people Israel, so also the new Pascha and Pentecost are participated in by subsequent generations, making them part of God’s people and inheritance, through ritual. St. Paul makes this point by paralleling the events of the Exodus with Christian mysteries. At the sea, the people were ‘baptized into Moses’ and in the wilderness they ‘ate spiritual food’ and ‘drank spiritual drink’ (1 Cor 10:1-4). They were baptized not only in the water, but in the cloud of the presence of the Holy Spirit (v. 2). Baptism brings the Christian into participation in the death and resurrection of Christ while chrismation brings participation in the new Pentecost. Just as the Passover meal was instituted and proclaimed as a participation in the events of the first Pascha before those events took place, Christ instituted the Eucharist before his death and resurrection. He describes his blood in the Eucharist as the ‘blood of the covenant’ (Matt 26:28; see also 1 Cor 11:25; Heb 12:24) in fulfillment of the blood sprinkled by Moses at Pentecost (Ex 24:8). The word typically translated as ‘church’ in the English New Testament is the Greek ‘ekklesia’. This word, which means ‘assembly’, is used throughout the Greek Old Testament to refer to the gathering together of the people of Israel. It has the same meaning in the New Testament. The church is the assembly of Israel, God’s people, which has been renewed and restored, the tribes formerly lost reconstituted from among the nations into which they were dispersed. The phrases “the church replaces Israel” or “the church is a new Israel” are therefore nonsensical once the terms in which the scriptures speak is understood. The church is Israel. Specifically, the church is the assembly of Israel, God’s people, to offer worship, praise, and sacrifice to their God. It is not that God’s people are no longer an ethnic or national entity, it is rather that God’s people and inheritance were never an ethnic entity, and only ever so briefly a national one. St. Paul takes this a step farther, and argues that this reconstituted Israel was God’s plan from the very beginning and throughout his people’s history. The God who ‘gives life to the dead and calls into being the things that do not exist’ has made Abraham the father of his people Israel and in so doing has made him the father of many nations (Rom 4:13, 16-17). Abraham is the father of all those who believe (Rom 4:11-12). Just as Moses came to redeem a remnant of the descendants of Jacob from Egypt who became the core of the new people of Israel, so also Christ came first to redeem that remnant within Judea (Matt 15:24; John 4:22; Rom 1:16). This remnant was gathered for him first through the ministry of St. John the Forerunner. This remnant was preserved by Yahweh the God of Israel throughout the apostasy of the northern tribes and kingdom as exemplified in the ministry of the prophet Elijah (Rom 11:2-5). That judgment would reduce Judea to this remnant was always a part of the prophecy of Israel’s restoration (Rom 9:27-29). The fate of the northern tribes represented a theological problem for Second Temple (and later) Judaism which St. Paul sees resolved in the fulfillment of the promises to Abraham in Jesus Christ. The larger part of the nation of Israel, ten tribes, had an all too brief existence marked by continuous apostasy followed by dissolution leaving only the smaller Judah to exist independently for another 140 years. Did this mean that the promises of God had failed or that he had dealt unjustly with them? St. Paul adduces the example of Pharaoh, whom God raised up to power despite his wickedness precisely so that he could display his power to the entire world (Rom 9:17). To this might be added the example of Judas, called by Jesus and given all of the teaching, power, and authority of the rest of the twelve, though he was a devil (John 6:70). Jeremiah had prophesied against Israel from the potter’s house that Yahweh the God of Israel shaped nations like clay and if one turned to evil he would take it, crush it, and remold it anew (Jer 18:1-12). St. Paul returns to this language to show how God was just in his treatment of the northern kingdom, whom he continued to patiently bear with despite their wickedness and their wrath against them, giving them his blessings for 300 years before bringing about their destruction (Rom 9:20-22). The purpose, however, of this patient endurance of Israel’s wickedness was to prepare to start anew and create vessels of mercy prepared for glory, the renewed Israel of God (v. 23-24). Later in his Epistle to the Romans, St. Paul uses another metaphor of an olive tree. Here, the purpose of God’s allowing the unbelieving branches of Israel to grow was so that once they were pruned, they would create a place for other, believing branches to be grafted in (Rom 11:17-24). These wicked branches, the greater part of the originally constituted Israel, came to exist and were blessed despite their apostasy to create room within God’s people. They were dispersed to the Gentiles as punishment so that when the Gentiles returned and came to fill their space, they would be restored and in the end, all Israel would be saved (Rom 11:25-27). This is the fulfillment of the prophecy of Hosea, after Yahweh had declared Israel to be ‘not my people’ that Israel would be restored when a people which did not yet exist would be called his people while at the same time those who had been rejected were declared to be his people once again (Hos 1:10; 2:23; Rom 9:25-26). While Pascha and Pentecost have created the renewed, restored, resurrected Israel, this people in its fullness is still being gathered through the mission of the church in the world. St. Paul calls this body which will come to fill Israel ‘the fullness of the Gentiles’ (Rom 11:25). Christ himself referred to the time between the constitution of the people of Israel and their arrival in the promised land and the kingdom as ‘the time of the Gentiles’ (Luke 21:24). It is for this purpose that Christ sent his apostles, the twelve and the seventy, after beholding him risen on the mountain, to make disciples from all nations (Matt 28:19). Next week’s post will discuss the new covenant issued to the reconstituted Israel of God on the day of Pentecost. I feel I must apologize for these somewhat awkward questions as I read through this post, in hope that you would speak to that which I am having difficulty stating clearly. “That judgment would reduce Judea to this remnant was always a part of the prophecy of Israel’s restoration (Rom 9:27-29)”. Did the prophets know that Israel’s restoration would not entail a restoration of the kingdom of Israel, but rather the ‘Israel of God’? I think of Mt 13:17: ” for assuredly, I say to you that many prophets and righteous men desired to see what you see, and did not see it, and to hear what you hear, and did not hear it.” Yet the Prophets prophesied directly against the kingdom of Israel. When you speak of “Israel’s restoration” and where you say “The church is Israel” are you using the word Israel as a gathering of God’s people, regardless of ethnicity or nationality? Is this how we should understand “Israel” when we read it in the scriptures, knowing what we know now? Or is there another dimension, that being, “For they are not all Israel who are of Israel”. “These wicked branches, the greater part of the originally constituted Israel [the actual kingdom], came to exist and were blessed despite their apostasy to create room [for the gentiles, “For they are not all Israel who are of Israel”] within God’s people. They were dispersed to the Gentiles as punishment so that when the Gentiles returned and came to fill their space [through their assimilation and intermarriage? ], they would be restored and in the end, all Israel would be saved (Rom 11:25-27)” All Israel would be saved…meaning what? The so-called spiritual Israel that began with the chosen people of God? I believe as you say, that the belief “the church replaced Israel” is inaccurate. I suspect it is a result of a linear, strictly historical reading of scripture. This is why I ask you to indulge in my questions. The contemporary protestant theologians I have studied wrote volumes on the chapters and verses in Romans you quote, especially 9 and 11. In general, I understand what you have written in these last two posts. But I must say, there is a lot to absorb (in the details) and a lot to ‘reconstruct’ into right-thinking. For me it comes down to this: I have a great deal of trouble with the words “The church is the assembly of Israel , God’s people, which has been renewed and restored…”. I do not think of it that way. My thoughts are that the church is finally what God had intended all along…that the church is the Church! But it is the church that began with God’s plan in His people Israel, that in its fullness it is all those of every tribe nation and tongue who are in Christ. Isn’t it. Well Father, in all sincerity, thank you for this challenge. To try to boil it down: God created a people for himself and called it Israel. This group was not a nation or an ethnicity. It was a group formed by participation in the Passover and the giving of the covenant (Pentecost). God knew that most of this group would be unfaithful, but he bore with them for a time and then scattered the unfaithful among the nations. Then when he regathered and reconstitutes Israel, he did it from the nations into which those tribes had been dispersed. So Israel and God’s people are synonymous terms. This means that the assembly (church) today is identical to the assembly of Israel in the Old Testament. We are all, in the church, Israelites, though we are not all Judeans (Jews). But Judah/Judea was never all of Israel. It was the part from which the king (I.e. Messiah) came. I hear what you are saying, but I admit this is going to take time to fully sink in. So St. John was just taken up in the spirit and shown the bride (the Church), the Lamb’s wife, and the New Jerusalem (the Church’s eternal home). The 12 gates of the City, the passageway to the Church’s eternal home, has written on them the names of the 12 tribes of Israel. I think this verse is another indication of what you mean by “The church is Israel”. Am I on the right track? Very much so. The Gentiles aren’t tacked on to Israel as the church. The Gentiles replace the 10 northern tribes and come together with Judah/Judea to reform Israel so that all Israel, all 12 tribes, is saved. Israel and Judah are not synonymous. Judah was part of Israel and then the rest of Israel apostatized and was destroyed. Judah became Judea in the New Testament. So when New Testament writers talk about Israel, they don’t mean just Judea, but the whole people. When they talk about Judea and the Judeans, they don’t mean the whole people of Israel, just a subsection. And where we read ‘Jew’ in scripture it actually reads ‘Judean’. Judah/Judea is the core of God’s people Israel, because it is from Judah/Judea that the king comes, but it was never the whole people of God. But a lot of this comes down to remembering that Israel =/= Judea and Israelites =/= ‘Jews’ anywhere in scripture. The second terms represent one part of the larger first terms. Ok Father, thank you! And thanks for expounding on the distinction between Israel, Judea, Israelites, and “Jews”. There is a lot of information in these last two posts. I will keep all you have said in mind, and with that I believe over time the pieces will come together.